Lynch is slated to testify before the House Judiciary Committee next Tuesday, the panel announced — her second testimony before the panel since becoming the nation's top law enforcement official last year. Her testimony will come just days after Republicans have FBI Director James Comey testify on Capitol Hill regarding the FBI's decision, announced Tuesday, to not recommend criminal charges for Clinton over her use of a private email account and server while secretary of State. 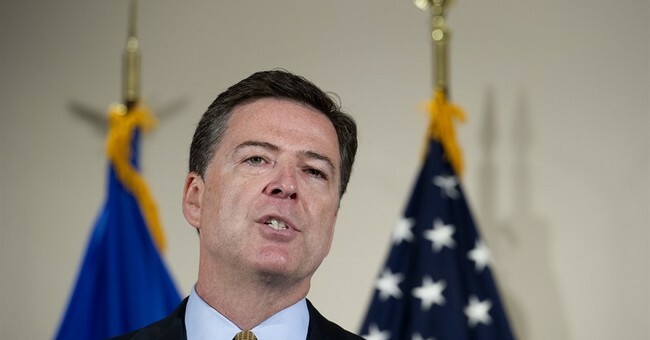 FBI Director James Comey will testify on Capitol Hill Thursday regarding the bureau's investigation of Hillary Clinton's email practices, part of a concerted GOP effort to keep the heat on Clinton heading into the party conventions and a long congressional recess. Comey will appear before the Oversight Committee at 10 a.m., House Oversight Committee Chairman Jason Chaffetz (R-Utah) said on Wednesday morning. The hearing will be just two days after Comey's stunning repudiation of Clinton's "extremely careless" practice of using a private email server to send classified information during her tenure as secretary of State. Comey did not recommend charges be filed against her, stoking GOP outrage and propelling congressional leaders like Chaffetz to seek more information. Chaffetz's Senate counterpart, Homeland Security and Governmental Affairs Committee Chairman Ron Johnson (R-Wis.), demanded a written explanation of Comey's decision-making on Wednesday. And House Judiciary Chairman Bob Goodlatte (R-Va.) said that Attorney General Loretta Lynch will testify next Tuesday before his panel about Clinton's email practices, as well as Bill Clinton's private meeting with Lynch in late June. The flurry of action highlights the GOP's exasperation over Comey's decision not to recommend an indictment despite his harsh words for Clinton. That seems like gross negligence, which is a provision within federal law concerning handling of classified materials. Pretty much everyone slammed both Clinton and Lynch for this rendezvous, labeling it as an inappropriate meeting. And many eyebrows were raised when Lynch said they mostly discussed grandchildren and golf for a half hour. Cortney wrote on Saturday that Clinton met with FBI officials for a three-and-a-half hour interview. On Tuesday, Comey announced that while Clinton and her team were extremely careless regarding handling classified information, including 110 emails deemed classified on 52 separate email chains, among other things, they were not going to suggest she be charged. In the fallout from the tarmac meeting, Lynch said she would follow whatever recommendations the FBI and the attorneys at the Department of Justice bring to her desk at the conclusion of this investigation. This, coupled with Comey’s damning briefing to Clinton and her team’s abysmal culture regarding safeguarding sensitive information, has only intensified feelings from some that political influence was applied—and that Clinton has lied from day one since the beginning of this email fiasco .